Sometimes women can develop male-pattern hair growth and this condition is called hirsutism. The hair is excessive and unwanted, pigmented and coarse and appears usually on the face, back and chest. The amount and thickness of growth depend on genetic makeup. Some causes include excessive production of testosterone – the male hormone called androgen – family genes or ethnicity. Other signs of hirsutism could include deepening voice, acne, balding, enlarged breasts and muscle mass – all signs of virilization. When such symptoms – especially rapid and unwanted hair growth – are observed, individuals must seek medical advice. Doctors will be able to diagnose the difference between unwanted hair growth on the chin or face which are also signs of menopause and hirsutism. High androgen levels also cause other medical conditions like Cushing’s syndrome, polycystic ovary syndrome, tumors etc. which can also be accompanied by severe hirsutism. Common treatment regimes include hair removal therapies, medications like anti-androgens or oral contraceptives and topical creams. Turmeric is used to treat hirsutism, especially as a topical application. It is believed to work by softening and dissolving hair in areas where it is applied. There are different ingredients with which turmeric can be combined to benefit those with hirsutism. 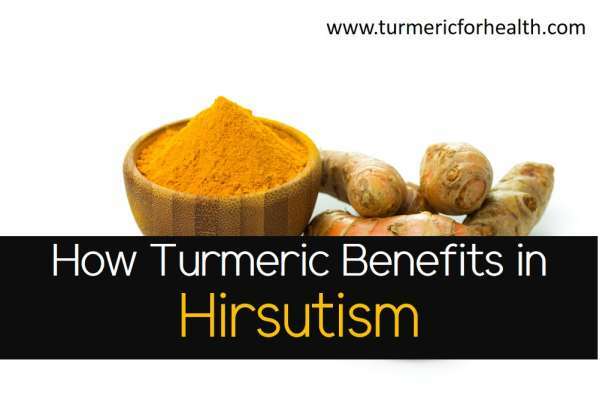 When I researched how turmeric benefits for Hirsutism, I did not find much in terms of scientific research papers. But there was a lot of info available from users who tried turmeric in various ways and it worked for them. At first, I was thinking not to write on this topic as there was no ‘scientific’ data available. But then I thought – how many of us actually use cosmetics which have such harmful chemicals and find they are of no use. Turmeric is anyways good for skin health. So even if the hair is not reduced (which should be as based on the experience of users) you will still get a glowing skin. After all, turmeric has been proved to be great for skin. Thus I decided I will write this and wait for readers to provide their feedback on it. Make a paste using one pinch turmeric powder, 2 teaspoons gram flour and little milk. Apply this on places where there is hair growth due to hirsutism. Leave for 15 minutes and then scrub it dipping your fingers in the water. Now rinse with lukewarm water until all the paste is washed off. This treatment must be done daily for 2-3 months to see a lessening of unwanted hair growth. You can also combine whole wheat flour and turmeric powder in equal amounts, add sesame oil to this, make a thick paste and apply to areas that are affected. Leave for 30 minutes and then wash with lukewarm water. Another combination to treat hirsutism is to combine warm coconut oil and turmeric powder. Try a combination of curd, gram flour, and turmeric, apply on affected areas for a few minutes and wash off. Pinch of turmeric powder, 1 tablespoon black gram flour and 1 teaspoon plain, fresh yogurt combined into a paste. When the paste is dry, peel it off and the excess hair will come off. ½ tsp turmeric, 2 tablespoons gram flour, and ½ tsp almond oil can be combined together with a little water to form a paste and then applied. Some people who used the above masks said their skin felt a bit dry. That may be the case. Adding some aloe vera gel may help here as it is one of the best natural moisturizing agents. Turmeric has a bright yellow color and using it on the skin can stain it. Rubbing the stained areas with a milk-soaked cotton ball can remove the stains. Sometimes turmeric pastes applied on the skin can cause a condition called contact dermatitis characterized by itching, rash, blisters, dry skin and pain. As a spice included in food, turmeric does not cause any side effects. Excess usage of turmeric supplements can cause stomach upsets, dizziness or nausea. Pregnant and breastfeeding women, those with gallbladder problems, those taking anti-coagulation medications, drugs to reduce stomach acid or diabetic medications and those undergoing surgery must avoid turmeric supplements. Will it work if also shaving the area at the same time or do you need to let the hair grow naturally? Hi, I’ve come to a realization that my darkened skin colour is due to years and years of sun tan. I was thinking of using a Turmeric face mask but got scared at the thought of my facial hair might not grow back. You said that it does not inhibit facial hair growth for men, is it possible I can see some liable sources for your claims. can i go out under the sun after applying turmeric? i heard that it causes skin blackness. Is it true? 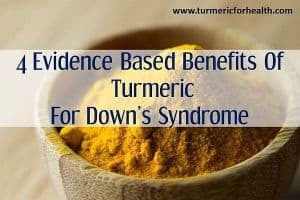 It is highly unlikely that turmeric could cause tanning after sun exposure; in fact it is supposed to help with the same. I think kasturi turmeric is must. I have tried normal turmeric , gram flour pack but it seems nothing is getting done. Then I tried both normal turmeric and kasturi turmeric with gram flour. Within 15days of regular application without fail ,now I’m seeing reduction in growth period. They r still there but they have began to grow sowly. Anybody knows d difference between these 2turmeric?? 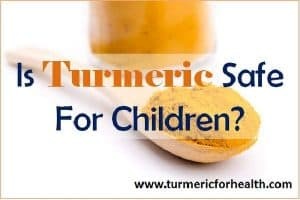 Can I use nly the paste of turmeric which is made with mixing with water.? ?,WITHOUT adding any other ingredients?? Turmeric is not soluble in water. So even for topical application it is best to mix turmeric powder with oil. 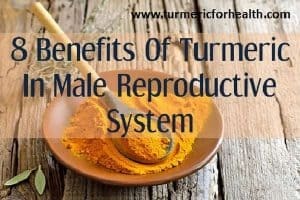 I was used turmeric on my 17th age…now I’m 19 I’ve less facial hair…my friends have better hairs.then my another friend had used it too he have small hairs on his face and it’s not growing…they all said that to me “your facial hair will never grow more becouse the use of turmeric. i had used that for anti-pimple face. Now I’m searching for a solution to grow facial hair. Turmeric will definitely not reduce facial hair in men. Please consider a health and hormonal checkup and consult your doctor regarding this. Can men use turmeric for face? will it hinder facial hair growth? Yes it is safe for men to use turmeric for face and will not interfere in facial hair growth. Hirsutism involves hormonal imbalance and taking turmeric internally as well as applying regularly helps reduce or lighten facial hair. Is it really useful for thick facial hair? Turmeric paste has been used traditionally for hirsutism; but the effect differs with every individual. Taking turmeric orally to balance hormones and applying the paste locally after a patch test should help lighten and reduce the density of facial hair. Some people say that common turmeric cannot be used for skin; we should use Kasturi turmeric. Is that true? Both varieties of turmeric-common turmeric (Curcuma longa) and Kasturi turmeric are beneficial and safe for the skin. Hi… I have been using gram flour turmeric and milk paste but haven’t seen any result as yet. Turmeric ,gram flour and milk/cream are good as they soften the skin . We can also put honey in it at times . Honey is known to give glow . Regular use of this combination cleanses the skin . I’ve been applying fresh aloe vera gel from a live plant all around my lip area for unwanted facial hair. I quit taking Biotin supplements (1,000 mcg or mg? ), also. The hair growth is lessening, and the folliculitis is much improved. Would it probably be the Biotin or the aloe vera gel that is helping with unwanted hair growth? Ok I actually tried that one with turmeric, gram flour and milk. When I scrubbed the dried mixture, it was coming off but I didn’t see any hair coming off with it. Even when I washed it with lukewarm water, the hairs were there but my skin did become soft. Scrubbing too hard was hurting and redening my skin so I didn’t bother much. What I want to ask is that is it necessary for hair to come off (while scrubbing) for the mixture to do the trick or will it inhibit hair growth even if the hair doesn’t fall of? Or should I keep scrubbing (I used a piece of cloth for scrubbing) even if it hurts like hell? Hey Logan, the hair won’t come off instantly. Its a slow process – regular use makes the hair go thinner and thinner and finally falls off. You don’t have to ‘ever’ scrub!!. And it surely helps. Please dont scrub till it hurts. The mixture lightens the hair such that it is not visible and over the time gradually reduces development of facial hair. Apply turmeric on face is good but dont use it on acne or wounds otherwise it will burn. Softly massage it. If you want, combine it with milk and flour. Green tea works wonder in this problem. Try it without sugar and milk . take green tea bag and dip it for 3-4 minutes then drink it atleast once everyday and atleast with one hour gap before and after meals. Try pressing the corners of your wrist on both arms. These are acupressure points for ovaries and uterus. Please do not do it immediateltdiately before or after meal. You can do it any other time. start exercising everyday.. starting from ten minutes and increasing it every ten days. Hello, is it advisable to shave or wax first to increase coverage of the follicles? No there is not need to get rid of the hair. Applying turmeric will gradually lighten the hair color and density. I would say dermatitis is a side effect. 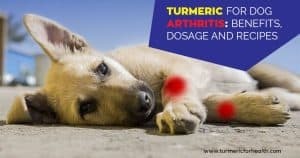 Contact dermatitis has been reported with turmeric in some individuals which could be a result of allergy or impurity in the powder. Also topical turmeric is used to clear skin infections, eczema and various skin disorders. When consuming turmeric such side effects haven’t been reported unless you are allergic to it. It is always advised to use organic turmeric powder. you can us it on your food and rise, its a powerful anti DHT testerone. HI, as I have mentioned there is little scientific data on this, thus the article is based on experience of people who have used it. Removing hair does not make it grow faster/thicker so don’t worry about that. If it works as a depilatory (idk cuz I haven’t tried it) it would be pretty cool substitute because those usually smell terrible. alright these are the various ways of applying turmeric, but which one had better response to hirsutism? its useless to indulge in something that will reap no benefit. Hi, you have a very valid point but unfortunately it is impossible to single out any one method as things vary a lot on a case to case basis. Some may work with some people while on others they may not. This combination has worked for people I know. I have used it only twice and it was really amazing. Hi, thanks for suggesting this one. SRT, Do you have anymore details on how it works? Does the paste pull the hair from the follicle (like waxing)? Or does it enter the follicle and dissolve the hair somehow (like deplilatory creams)? It is reported that Turmeric, when it dries, binds to the hair and the gentle scrubbing helps pull the hair from the follicle if the hair is sufficiently weakened by repetitive applications over time. It is in the nature of Turmeric to be absorbed into the hair shaft and after continual use will weaken the hair and deter the hair growth, until the hair is permanately stopped.